Heat oil in a wide pan and sauté garlic for one minute. Add bean sprouts, mushrooms, carrots and cabbage then stir and cover. Cook over medium-low heat for 10-15 minutes or until veggies are soft, stirring occasionally. Combine clams, lime juice, rice wine vinegar, sugar, sesame oil, soy sauce, and clam juice in a separate bowl while veggies cook. Add clams to the veggie mix and cook until moisture is mostly evaporated. 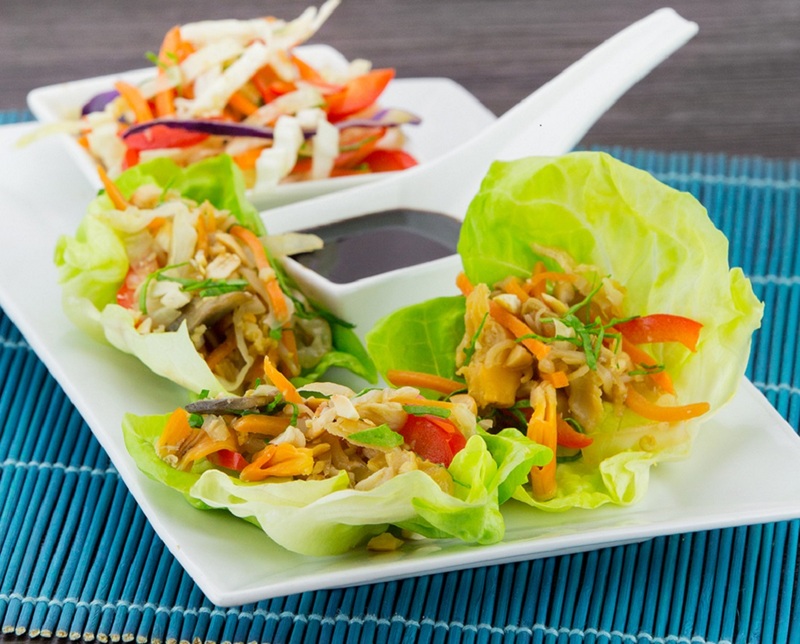 Serve in lettuce leafs with a garnish of basil and peanuts and a side of soy sauce.